Veterans with disabilities often face even tougher challenges to employment than whole-bodied vets. Statistics from 2014 show 3.8 million veterans had a service-connected disability, which makes them a significant portion of the former military population. This results in less participation in the labor force, higher rates of unemployment among veterans and lower wages for disabled veterans’ jobs when you can find them. A 2015 study published by the Kessler Foundation showed how disabled Americans in general handle these issues, and what needs to be done to overcome the barrier of disability to find work. With 69% of the respondents actively involved in preparing for work and searching for jobs, the study highlighted that candidate engagement was the primary factor for success. This included being vigorous in the job search activities and negotiating barriers to accessibility. The study found that more than 42% of the respondents were currently employed, and almost two-thirds of those worked more than 40 hours per week. Around half of those surveyed were comfortable using workplace accommodations and enjoyed job satisfaction, while 90% felt like they were accepted in their workplace. The report determined that identifying ways to sustain candidates was the most important factor in improving the participation of this demographic in the workforce. By concentrating on successful outcomes instead of the barriers, the study is reframing the discourse and adding to the body of knowledge on best labor practices for disabled veterans jobs. 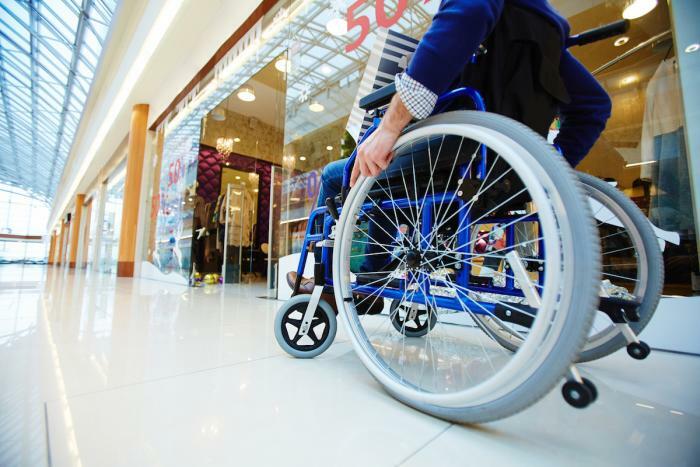 The researchers’ hope that the information will help authorities develop targeted policies and procedures, and reframe the conversation to foster long-term increases among Americans with disabilities according to the successful outcomes. Job restructuring, such as changing when and/or how a job function is done, or reassignment of marginal job functions the disabled veteran can’t perform because of a disability. Adjusted working schedules, which allow a veteran with a disability to deal with issues relating to treatment, such as medical appointments or medication schedules. Obtaining or modifying equipment or devices, such as adjusting the height of the veteran’s desk height to accommodate for anyone who uses a wheelchair, or providing quadriplegic workers with alternative devices made for computer use. Providing written materials in alternative formats, to make them accessible to disabled veterans. These include braille, CD or large print options. Making assistive technology or devices available, such as computer screen readers for veterans with disabilities such as visual impairments, or a specific telephone compatible with a veteran’s hearing aid[i]. For anyone searching for disabled veterans jobs, don’t get bogged down in wondering how you will do the job. Multiple ways exist to make it possible. What you have to do first is get the job offer, and for that, there are many ways to improve your engagement—and your success rate. Visit our job board regularly to find companies that may have disabled veterans’ jobs, and follow our blog and social media profiles to get news of job fairs in your area.